The recent arrest of several dozen people in India this month has been followed by a significant drop in the number of telephone scams where people call Canadians pretending to be members of the CRA looking for a bogus tax payment. The recent arrest of several dozen people in India this month has been followed by a significant drop in the number of telephone scams where people call Canadians pretending to be members of the Canada Revenue Agency looking for a bogus tax payment. The RCMP said the arrests of 70 people at call centres in India employing more than 700 people were first thought to be solely tied to an IRS version of the scam, but the police force says calls to Canadians since the arrests have fallen to "a small fraction of what was reported for the weeks and months leading up to these arrests." In the most common version of the scam, a Canadian would get a call from someone speaking English, alleging they were with the CRA informing the person they owe a large amount in back taxes that must be paid immediately or they'd risk arrest and asset seizure. Typically, the caller demands immediate payment, most often via email transfer, wire transfer, gift card or pre-paid credit card. Despite the drop-off in attempts of late, the scam is likely far from over. It's a lucrative business for the fraudsters. Since January 2014, based on statistics from Canadian Anti-Fraud Centre more than 1,900 Canadians have fallen victim to it and handed over more than $5.7 million. 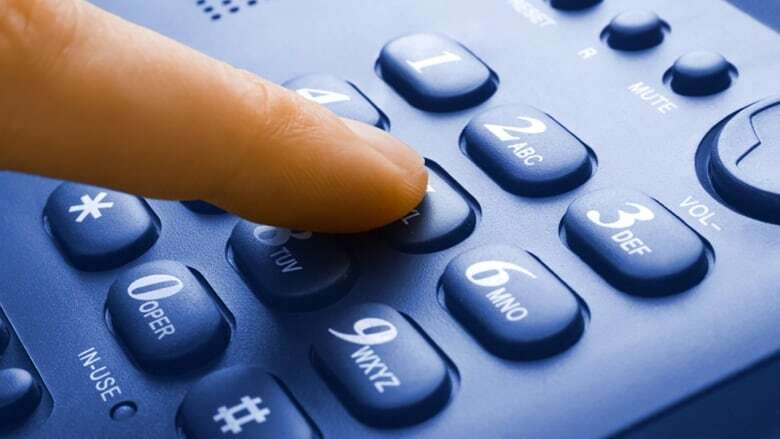 But more than 37,000 calls to Canadians have been made asking for money over that time period. "Based on CAFC analysis, the aforementioned numbers represent only five per cent of the actual losses," the RCMP said. In the U.S. version, the numbers are even larger. Officials estimate fraudsters were able to cull as much as $150,000 US a day from unsuspecting victims. In the U.S., too, extortion attempts are off by more than 90 per cent. The RCMP says it is still trying to track down Canadian collaborators with the scam, and urges Canadians to remain vigilant. "These fraudsters extort money from their victims through a number of different threats. These types of frauds are being perpetuated coast to coast, and have impacted both male and female victims from many different age groups and cultural backgrounds," the RCMP said. "Members of the RCMP Greater Toronto Area Financial Crime Unit would like to remind the public to remain vigilant of this type of scam which has been perpetrated by imposters claiming to be from the CRA, Immigration Refugees and Citizenship Canada employees, as well as a number of police agencies across Canada," the RCMP said. While the CRA will occasionally deal with Canadians by phone, they would never demand payment in the form of gift cards, prepaid credit cards, or use threatening language. Anyone with information is asked to call the RCMP at 1-855-253-7267.